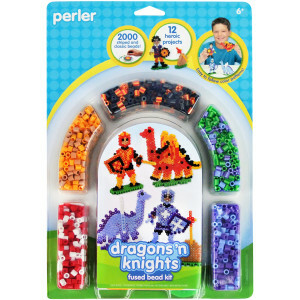 A lot of creative fun packed into every pack. Just four easy steps and you have created something amazing. 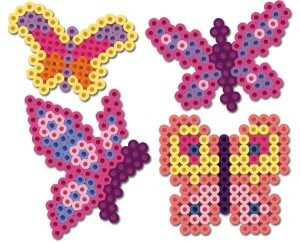 There are HUNDREDS of uses for them, use them as fridge magnets, sun catchers, key rings, for scrap booking or even room decor. *Sense of achievement(self esteem and self confidence) The beads are made from food-grade plastics(no harmful chemicals) and are environmentally friendly 🙂 It takes 4 easy steps. 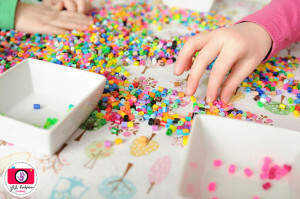 Step 1- Sort the beads into the colours you need for your design. Step 2- Design your pattern on a pegboard. 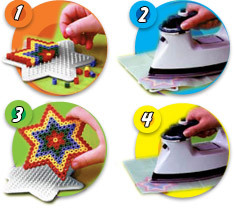 Step 3- Cover your pattern with ironing paper. Step 4- Iron both sides of your design to fuse the creation together. Adult assistance is required for the ironing to ensure the children safety. 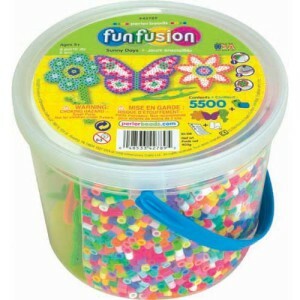 Perler Beads Bucket Of Fun consists of 6000 beads,4 pegboards, ironing paper and instructions.Various themes available Perler Biggie Beads for the younger ones, it consists of 250 large beads, 1 pegboard,ironing paper and instructions. Various animal themes available. 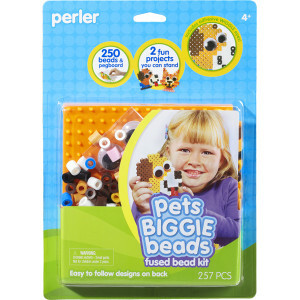 Perler Beads Large Kits consists of 2000 beads,assorted pegboards, ironing paper and pattern sheet. Available in a variety of themes. Please let me know what your ironing beads cost and if you would be able to post/courier to PE? 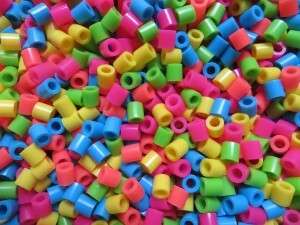 We would like to know which ironing beads you are interested in as there is a variety. We normally use Postnet to Postnet as a courier which will be at your cost.